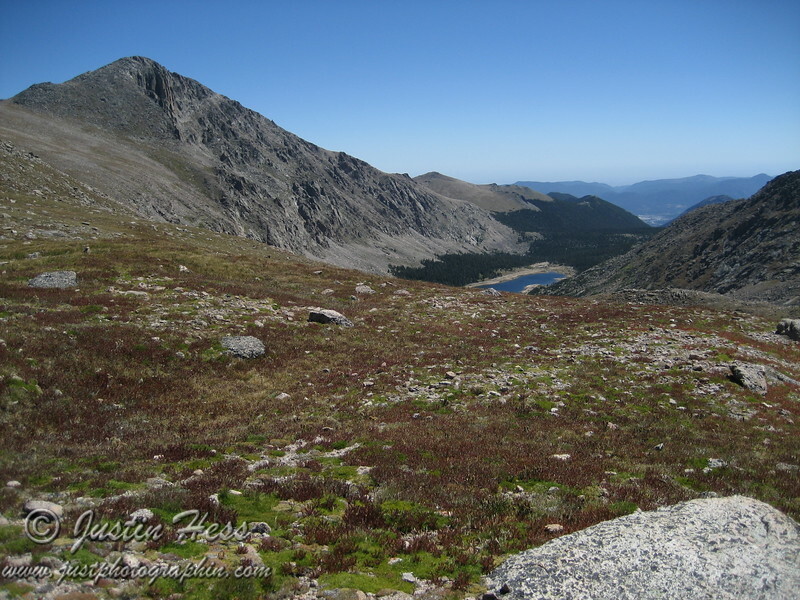 The hike to The Saddle is a day long trek for most people! The trail begins from the Lawn Lake Trailhead which is on the right side of the road just prior to Alluvial Fan. The trail ascends passed Lawn Lake onto a narrow trail in the tundra. There are cairns that also mark the way in a few places. The Saddle is part of the Mummy Range and is located between the summits of Fairchild Peak and Hagues Peak. Crystal and Little Crystal Lakes are also visible below the summit of Fairchild Peak.